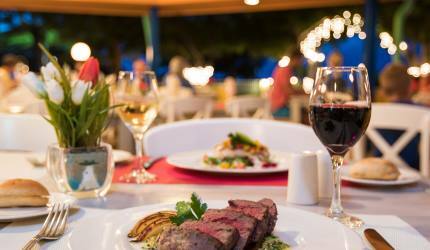 Since 1988, the highly regarded Chalet Suisse Restaurant has been enjoyed by visitors and locals alike who relish the consistency of the finest quality ingredients, the congeniality and efficiency of the all-Aruban service staff, the care given in the preparation of each dish, and the well-balanced menu options to please everyone's palate. Asked waiter "how is the steak" answer "have not had complaints". Wrong answer, but ordered anyway. Think it cost 40 something dollars. Sent it back. Could not chew it. Should have quit right there but ordered veal chop. Same result . Left Hungry Also might add. For the most part, wait staff missing in action most of the night. Never see me or my party again. We were suggested this restaurant by other . The food was mediocre (actually had to send the steak back, as it was overcooked). The service was not very good. I told the person at the desk we were celebrating my brother\'s 80th birthday and she acknowledged it, but never said they don\'t care. I also told the waiter. Not one person wished him happy birthday nor offered any celebration dessert. Every other restaurant we ate at this week celebrated many peoples\' birthdays. 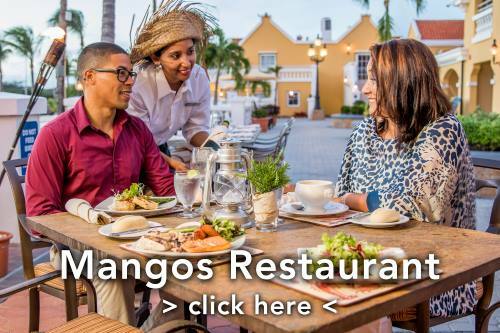 Very dissappointed in this restauarnat and will tell others don\'t both going there...especially when there are so many other excellent restaurants in Aruba! 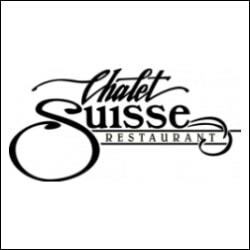 We were here this Past Easter vacation and as usual another great meal at Chalet Suisse. We have been coming to Aruba every year since 2001 and this place is still a must do every time. My sons now older look forward to going here from the minute we start talking about going back to Aruba.... Great Job again Benny !!!! We had a great dinner experience here. The service is really good and fast for a five star place. Our kids enjoyed their food and had the option of ordering from the kids menu. We would recommend the grouper, lamb chops and filet. The desserts were awesome, you can't go wrong with those. The only caution I would add is there are no refills on drinks, each one is charged which didn't surprise us. The staff was quick to let us know that shared plates cost $5 which was also clearly stated on the menu. Really good food with efficient service! We were highly recommended to this restaurant & were extremely disappointed with the quality of our meal. Bland salad, dry lobster tail (had to cut with a knife), 3 dried out shrimp & a tiny thin piece of fish without any flavor! Very Over priced for the quality! Even the coffee was tasteless! Along with the apple strudel! Will not be going back! 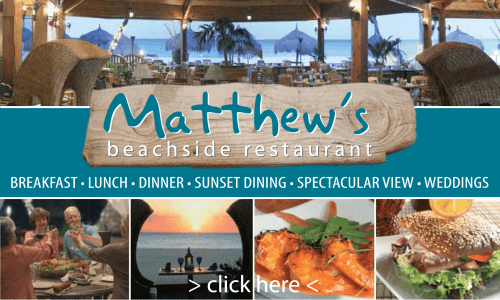 We have been going to this restaurant for over 10 years as it is our favorite on the Island. The day we arrive, we are there that night as well as the last night of our trip. The food is very good and the staff and atmosphere are amazing! During our stay which consists of approximately 1 month, 3 times a year we frequent this place often! 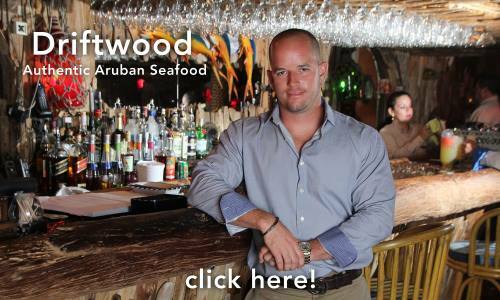 I would highly recommend this restaurant if you are looking for a comfortable, casual eating place with delicious food! We were there in December 2016 and will be there again in February 2017. This was our first stay in Aruba. We had some great dining experiences, but I would rate this restaurant the best. 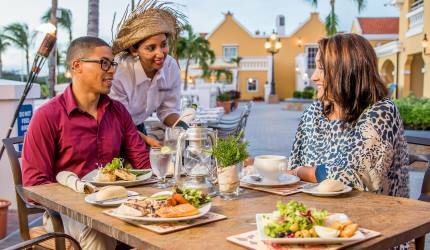 The waitstaff is most attentive and the quality and presentation of the food is outstanding.